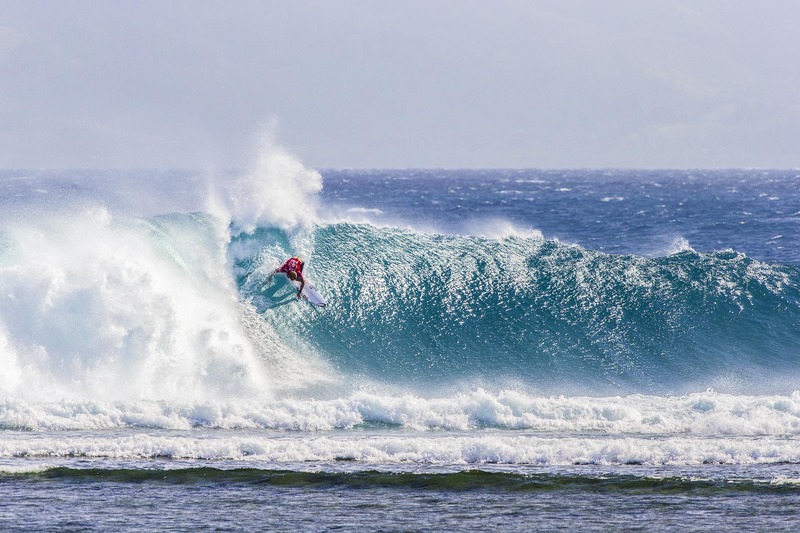 Mick Fanning during the Volcom Fiji Pro at Restaurants. The swell was so big that we moved from out of control Cloudbreak to the more manicured line ups of the break called Restaurants. The cool thing about this spot is that you could actually sit in the restaurant with a long telephoto lens and have banana pancakes at the same time.